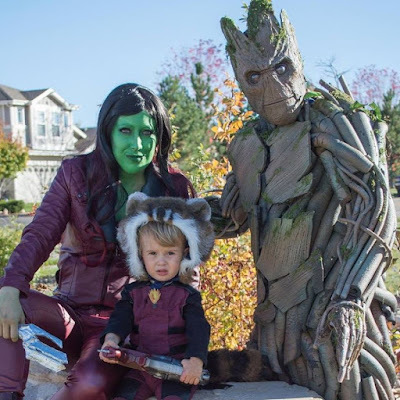 Then she made...: Happy Halloween - Please Help Groot! Happy Halloween - Please Help Groot! So, Halloween is wrapping up for us here in Colorado. It's been a fun time but as it draws to a close for another year, I do have one BIG favor to ask. Can you go and vote for my friend Groot, I mean Frank! 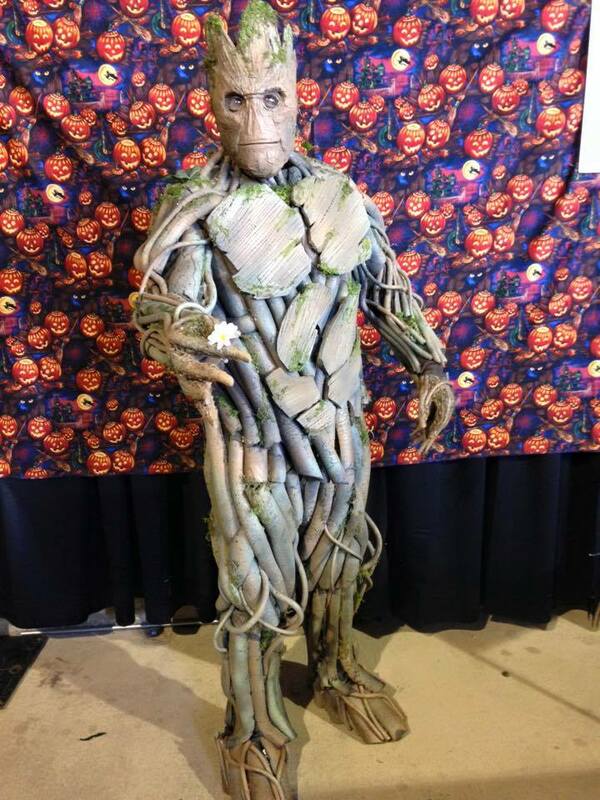 He made an amazing Groot costume - it's HAND MADE! I'm a creative person but this kind of thing just blows me away. Anyway, he is in the running for a costume contest and I'd love to see him win. Please take just a second to vote. You don't have to like the first page, you can if you want, or you can click "skip" and head to the picture page. From there look for, and vote for,Groot. I adore his little family and would love to make this a Halloween they will always remember. Plus, look how awesome their whole family looked, they have some serious talent. Good luck to them! And thank you all for voting!